The highly flexible, high-performance Juniper Networks ® QFX5100 line of Ethernet switches provides the foundation for today’s and tomorrow’s dynamic data center. As a critical enabler for IT transformation, the data center network supports cloud and software-defined networking (SDN) adoption, as well as rapid deployment and delivery of applications. Mission-critical applications, network virtualization, and integrated or scale-out storage are driving the need for more adaptable networks. With its diverse set of deployment options, including fabric, Layer 3, and spine and leaf, the QFX5100 is the universal building block for data center switching architectures, enabling users to easily adapt as requirements change over time. 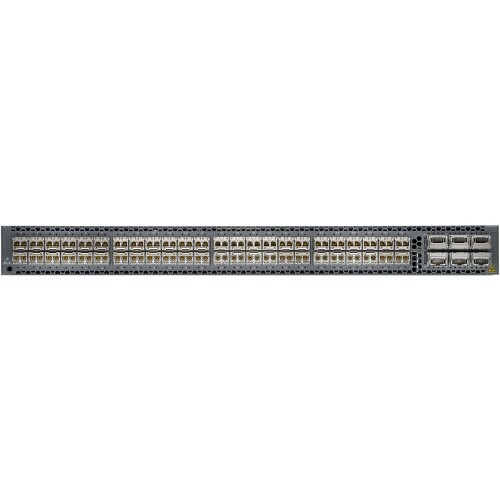 The QFX5100 line includes 10GbE (fiber and copper) and 40GbE fixed-configuration options with rich Layer 2, Layer 3, and MPLS features. 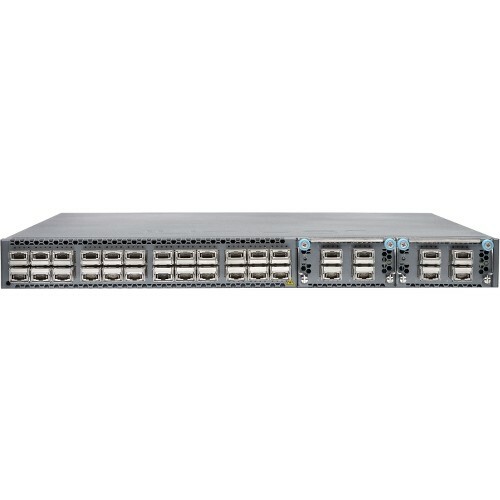 The QFX5100 runs the same reliable, high-performance Juniper Networks Junos® operating system that is used by Juniper Networks QFabric® family of products, EX Series Ethernet Switches, Juniper Networks routers, and Juniper Networks SRX Series Services Gateways, ensuring a consistent implementation and operation of control plane features across the entire Juniper infrastructure. Featuring a built-in Insight Technology capability, the QFX5100 provides valuable performance and troubleshooting data via microburst monitoring and hotspot statistics. The QFX5100 can also be used as a high-performance QFabric Node in Juniper’s high-scale QFabric System or as a Satellite device in a Junos Fusion fabric architecture, deployed in Juniper’s new Virtual Chassis Fabric switching architecture, and installed in Juniper’s existing Virtual Chassis switching architecture. The QFX5100 includes the following capabilities. Please refer to the Specifications section for features that are currently shipping vs. those that will be available in a future software release.